HAVANA (AP) — A half-century later, Jose Rafa Malem remembers the balmy breezes blowing through the bar's arching porticos, the grain of the tall wood stools, the whiff of Pedro Domecq brandy on his father's breath. And how could he forget the tangy ground-beef-and-tomato-sauce sandwiches synonymous with what was then one of Havana's hippest hangouts, playfully dubbed Sloppy Joe's? "I ate so many, I got tired of them," said Rafa, a 59-year-old Havana native who grew up to become a bartender. 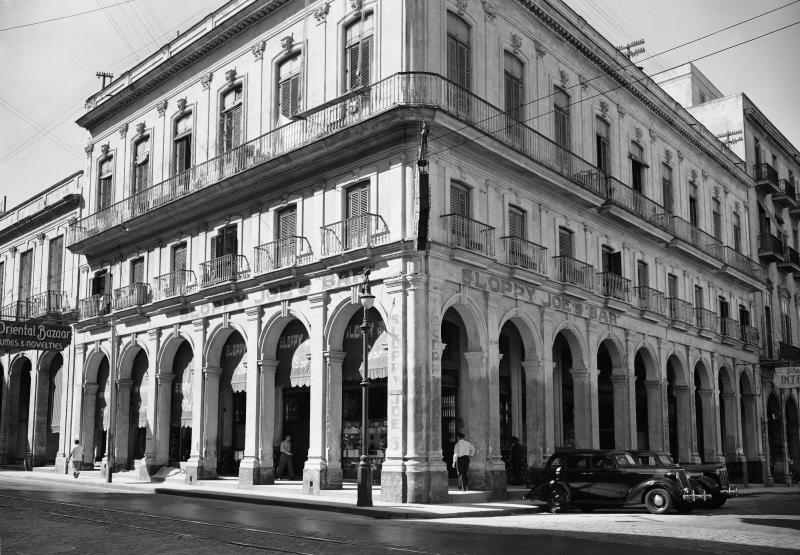 Soon, Rafa will be able to relive those boyhood memories as the original Sloppy Joe's reopens in Havana's historic quarter, giving residents and tourists from all over the chance to belly up to the same bar that served thirsty celebrities such as Rock Hudson, Babe Ruth and Ernest Hemingway. It's part of an ambitious revitalization project by the Havana City Historian's Office, which since the 1990s has transformed block after block of crumbling ruins into rehabilitated buildings along vibrant cobblestone streets. The effort has helped finance Cuba's socialist present by drawing tourists fascinated by its pre-socialist past, from colonial palaces of the 18th century to celebrity hangouts of the 1950s. "For the people of this city, I think it's very interesting and very important to rescue a place that has so much history and is so recognized around the world," said Ernesto Iznaga, manager of the born-again Joe's, which will be run by state-owned tourism concern Habaguanex. "To restore it to how it was before." Sloppy Joe's was founded in 1918 by a Galician immigrant named Jose Abeal Otero who purchased a grocery store in Old Havana after years of tending bar in New Orleans and Miami. Legend has it the sobriquet comes from the place's grubbiness and Abeal's American nickname, Joe. Rafa's father was a close friend of longtime bartender Fabio Delgado and took his boy there on Sunday afternoons beginning in the late '50s. During the day, Rafa said, Joe's was a mellow family joint where kids slurped ice cream and Coca-Cola while mom and dad chatted over more potent spirits. Employees made sandwiches to order behind the black mahogany bar, polished to a high shine and purportedly once the longest in Latin America at about 59 feet (18 meters). After dark, the place filled up with Americans on vacation. Abeal's affable personality and familiarity with English from his years in the States helped make Joe's a favorite among tipsy Yanks as far back as the Prohibition era of 1920-1933, along with the nearby El Floridita bar, the reputed birthplace of the daiquiri cocktail, and La Bodeguita del Medio, home of the minty, rum-infused mojito. As much as any other place in Havana, Joe's exemplified the island's lure as a playground for Americans. "No Havana resident ever went to Sloppy Joe's," novelist Graham Greene wrote in his 1958 spy-farce "Our Man in Havana," ''because it was the rendezvous of tourists." It was a stylish clientele compared with the flip-flop and tank-top tourists who swarm Cuba and other Caribbean islands today. One illustrated color postcard from the era shows gentlemen in fedoras and pinstripes laughing on barstools alongside white-gloved ladies. Many were wealthy, famous and looking for a good time. Frank Sinatra. Ava Gardner. Nat King Cole. The list of patrons reads like a Who's Who from Hollywood's Golden Age. Rafa said his own brushes with celebrity included Boston Red Sox slugger Ted Williams and Cuban crooner Benny More. Swashbuckling actor Errol Flynn, who reportedly got in a fistfight at the bar with an overly admiring fan, was enough of a regular that Joe's named a cocktail for him. Ownership later passed to another "Joe," Jose Garcia. But last call came in 1965 as Fidel Castro's communist government was nationalizing nearly all private businesses, and Joe's has been shuttered for nearly five decades. When restoration work began in 2010, laborers discovered that the wood floors, rotten from humidity and years of neglect, had collapsed into the basement. The wooden bar, meanwhile, had splintered into three pieces. "It was in ruins," Iznaga said. He and his crew have spent two years bringing the watering hole back to life. To keep Joe's as faithful to the original as possible, they've examined historic photos and talked to old-timers like Rafa who remember the way it was. Messy ground-beef sandwiches will be on the new menu, naturally. Iznaga said they apparently originated as an Abeal family recipe, though others have also claimed they invented them. Also on the menu will be the Errol Flynn, an icy vodka and tomato-juice concoction garnished with a celery spear. Among the few changes is that the new bar will be air-conditioned for the comfort of sweaty patrons. At the intersection of Animas and Zulueta streets on a recent morning, dozens of workers buzzed about painting and finishing the bar's wood surfaces. A Sloppy Joe's sign hung from the building's corner, wrapped in plastic and ready to be unveiled for opening day. Construction setbacks have delayed the re-opening from Iznaga's original target around New Year's, and the first fingers of Havana Club rum will likely flow sometime in February. Across the Florida Straits, where rum-runner and speakeasy operator Joe Russell named his own bar Sloppy Joe's in the 1930s at the suggestion of his friend Ernest Hemingway, operators are delighted that the original is being reborn. "It's exciting because obviously our history is tied into their history," said Donna Edwards, brand manager at the Key West Joe's, which recently celebrated 75 years at its current location. 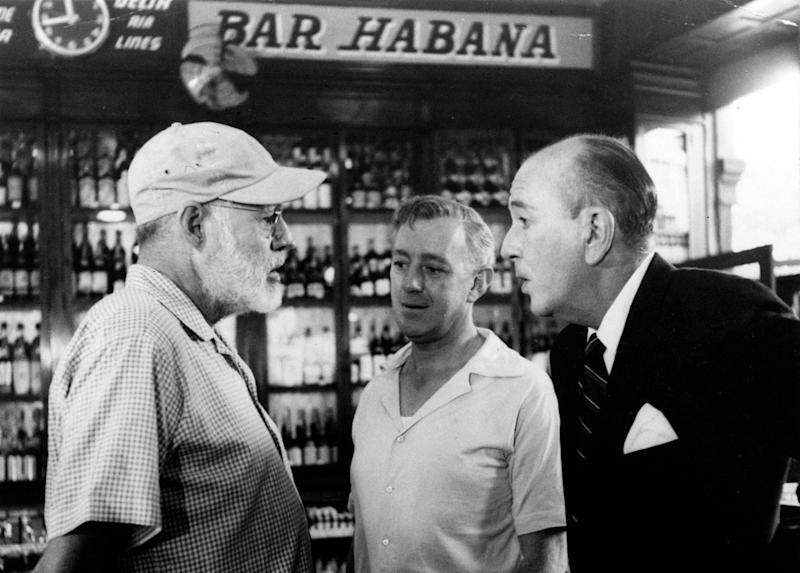 "Hemingway and Russell, they would frequent Sloppy Joe's when they were in Havana. It's a piece of history, and our history is now coming to life again."